May is Older Americans Month – an observance that is led by the Administration on Aging, part of the Administration for Community Living (ACL). The theme for 2018 is ENGAGE AT EVERY AGE, which celebrates the way in which older adults make a difference in our communities whether it is by volunteering at hospitals, senior centers, marching in a rally or babysitting their grandkids. The slogan is also a reminder that you are never too old (or young) to take part in activities that enrich one’s physical, mental, and emotional well-being. At India Home our elders have been immersed in a great number of events that have kept them happy, and yes, engaged at every age! On Advocacy Day 2018, organized by LiveOn NY, our elders made a show of strength at City Hall to advocate for more funding in the budget for cultural congregate meals, case management, hiring culturally competent staff, transportation and a host of other needs. Our elders got to New York City’s City Hall bright and early! India Home showed up in strength at the Press Conference and Rally. 2. 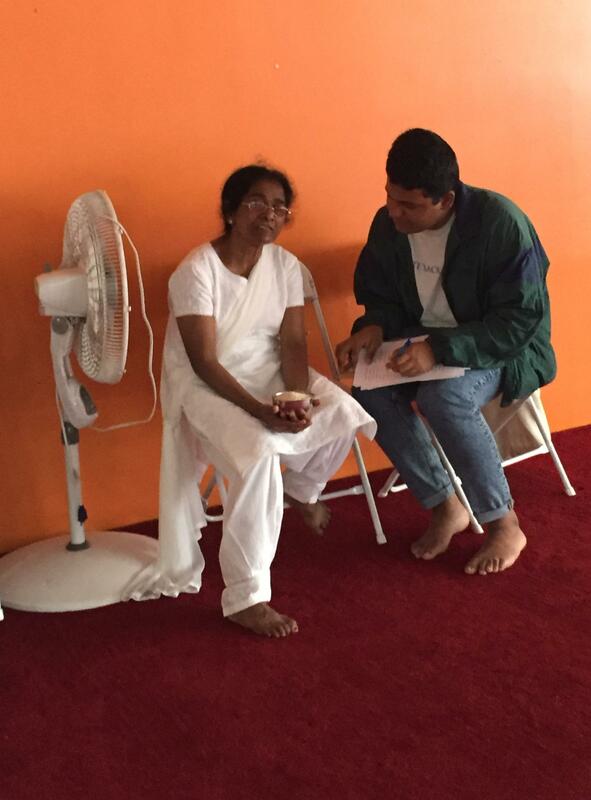 May 10: Our “Memoirs and Moments” writing workshop ended with a public reading! 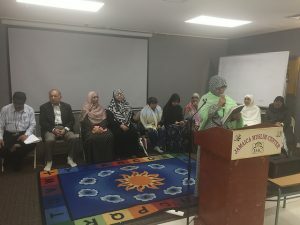 Our Bengali Muslim elders at Desi Senior Center have been writing memoir pieces in a writing workshop for the last eight weeks. They celebrated their efforts and their writing with a reading. The writers read about beloved objects, loved ones, childhoods in Bangladesh and the pieces were beautiful and poignant. There was cake to celebrate and hugs all around. So many poignant and beautifully written pieces! Our elders wrote about beloved objects, people and places. Sabbin Akter, the teaching artist who taught them looks on proudly. We celebrated India Home’s mothers and grandmothers with gifts, cake, musical interludes and a big, fat party! What’s a party without dancing? A special (culturally appropriate) feast! 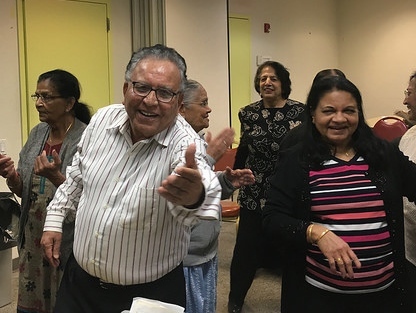 India Home’s elders at our Sunnyside center are having a great time working with Teaching Artist Parijat Desai in dance theater workshops that combine garba and abstract movement, with their own individual stories. 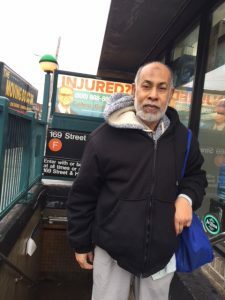 Three mornings a week, Abu Sayeed, 64, wakes up in his home in Cyprus Hills in Brooklyn, NY, worrying about the subway. He wonders if he’ll manage get the right train? How long will he have to wait? 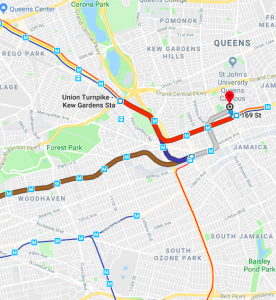 As he gets ready for his long walk to the station – putting on a cap, a thick sweater, sports shoes – he worries if he’ll make it in time to catch the exercise class he loves so much at the Desi Senior Center in faraway Jamaica, Queens. His journey begins at the Cypress Hills subway station in Brooklyn where he catches the J train to the Sutphin Boulevard station in Queens. From there he transfers to the E train for Kew Gardens. At Kew Gardens he waits for the F train to Jamaica’s 169th street station. Three trains and 70 minutes after he first got into the subway, he emerges into the light at Hillside Avenue and walks up the slope to the Desi Senior Center. He’s timed the walk: it takes a further 8 minutes. Abu Sayeed has to take 3 trains and travel for more than an hour to get to India Home’s Desi Senior Center. Lack of convenient transportation increases the social isolation and decreases the wellbeing of our immigrant seniors. Abu Sayeed has made this complicated journey, three times a week, ever since the Desi Senior Center opened in 2014. “My three arteries was blocked so I had three bypass operations. But still I came,” he says, proud of his tenacity. “I am coming here since day one. December 15, 2014.” His eyes crinkle under his cap. We are in the office of India Home’s Desi Senior Center in Jamaica. Outside the door, other older adults at the center have finished their lunch of rice and chicken curry are munching on apples for desert. A few pop in now and then to say hello to Sayeed or to ask questions of the staff. So why, given the time and effort it takes, does he make this journey day after day? Abu Sayeed doesn’t hesitate. “The friendliness of all the people here is very important to me. It is something that I enjoy every much,” is how Sayeed explains his dedication. 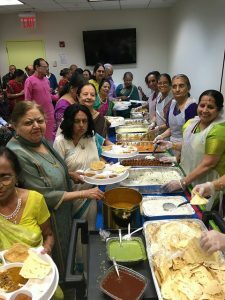 For Sayeed, and others like him, the Desi Senior Center, catering to mostly Bengali muslims and other immigrants from South Asia, is a refuge from social isolation, a problem that more and more elderly face in New York city. Sayeed moved from Bangladesh in 2008 to join his children in the US. His sons are busy, off at work or college, leaving Sayeed and his wife alone at home. In the summer he putters around growing flowers and vegetables in his small garden, but in the winter, there’s nothing to do. “My wife is idle,” he mock-laments. She’s happy to stay home. But he gets bored. Food that is culturally suited, exercise, a friendly face: Sayeed’s needs are simple. Yet the journey to enjoy a few hours of small comforts is difficult. Finding easily accessible public transportation is one problem; the high cost of transportation is another. Sayeed, who retired as a manager at a fertilizer plant in Bangladesh, has no work history in the US and thus has no social security income to draw upon. The cost can become a burden: “Every day I am spending $5.50…that is a lot if you don’t have a job.” he says. Selvia Sikder is a case management worker at India Home: “New York City requires that older adults have to be 65+ to get the reduced fare Metrocard. 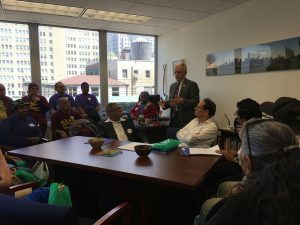 Many of our elders who don’t meet the criteria, even those who are below the poverty line, are spending $5 dollars a day to get to the center.” They can’t access private transportation services because these seniors are often on Medicaid, and these services are not available to those on the Medicaid plan. There are days when Sayeed simply doesn’t have money and waits for some kind soul to swipe him through the turnstile. Still, not all elders are as determined or as healthy as Sayeed. “Many elders have to beg for a ride to come to the center. Or wait for family to come and pick up. Some can’t afford even the reduced fare of $1.35. Others live far away from the nearest subway or bus-stop and find it difficult to walk,” Selvia, the case worker, explained. New York City’s large older adult population includes 1.4 million people over the age of 60 and the fastest growing segment of this population are immigrant seniors. The 2013 poverty rate among those age 65 and over was 21.6%. Given these statistics, one would think that NYC would make improving the public transportation system for the elderly a priority. However, the global design and consulting firm Arcadis’s Sustainable Cities Mobility index 2017 published in 2017 found that NYC’s public transportation system was ranked 23rd in the world. Funding concerns, long commute times and looming mega projects kept the city out of the top tier. New York City’s Department for the Aging (DFTA) funds 14 transportation only programs, which provide means of transportation to older and frail adults, according to a concept paper released in 2015. However these programs serve a limited number of community districts. Many community districts in Brooklyn and Queens remain without a ready source that can provide transportation to older adults. The benefits of older adults being able to use a low-cost, easily accessed public transportation system are well documented. In January 2017, Reuters reported on a UK study that followed 18,000 older adults for more than a decade. Eliminating cost as a barrier to traveling around town was seen as an important way to improve the mental health of older adults by reducing loneliness and lack of social engagement. By 2040 the older adult population of New York city is set to grow by 31%. Without proper transportation infrastructure that works for the aging, older adults like Abu Sayeed will face increasing social isolation and the physical and mental health issues that come with it. For now, though Abu Sayeed is looking forward to turning 65. “After 1 yr and 4 months I’ll get my half-fare Metro Card.” He grins in anticipation. “Almost there,” he says. Here are some of the recommendations that AARP (American Association of Retired Persons) urged on Congress in 2012. Many of them could be applied in NYC today. Dedicate increased funding for public transportation and the specialized transportation program for older adults and persons with disabilities. Include support for operations to help mitigate the high cost of gas and other expenses. Ensure that older Americans have greater involvement in developing transportation plans to meet their needs. Ensure that state departments of transportation retain their authority to use a portion of their highway funds for transit projects and programs. Include a Complete Streets policy to ensure that streets and intersections around transit stops are safe and convenient. Salma Abdul1 was born and grew up in Bangladesh. Her children left for the US to study, then settled in the country as permanent residents. When her husband died, she found herself alone. Her children, unable to leave their lives in the US, but worried about her aging alone, asked her to come and join them in America. When Abdul arrived in the USA at 69 years of age, she had to find her feet in a brand new country and culture. Her adopted country was technologically more advanced and spoke a language she didn’t understand. Its culture was completely different from hers. Its systems were complex and, because she couldn’t speak fluent English, harder to navigate. 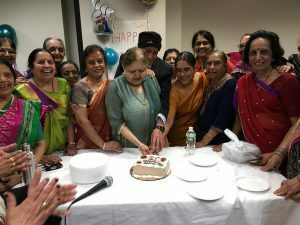 With the numbers of immigrant elderly surging in cities like NYC, cultural competency on the part of service providers like hospitals becomes ever more important. Abdul’s real troubles began when she became ill with kidney disease and had to visit a city hospital on her own. Her children were pre-occupied with work and demands from their young families, and couldn’t spare the time. The hospital had few interpreters. Intake staff at the hospital couldn’t speak Bengali and instead made her access the Translation Hotline and tell the disembodied voice at the other of the phone her symptoms. Doctors ignored what she was struggling to say in her broken English, or dismissed her after a cursory examination. According to a study in the Journal of General Internal Medicine, researchers analyzed data from 6,017 Americans older than 50 who took part in a Health and Retirement Study and found that one out of five of these adults experience discrimination in healthcare settings, and one in 17 experiences it frequently. “Ageism in healthcare is very common and experienced by many older adults,” says lead author Stephanie Rogers, MD, MPAS, MPH, a clinical geriatric fellow at University of California San Francisco. 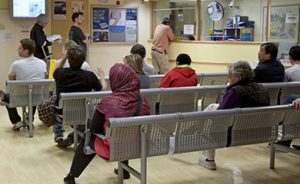 There have also been several studies that prove that immigrants in particular report more discrimination in healthcare settings (Derose et al., 2009). In Abdul’s case, she “found it difficult to understand the instructions the doctors gave her or the questions he asked her,” said Afroditi Panna, India Home’s Case Manager. Abdul’s daughter also spoke to Panna. 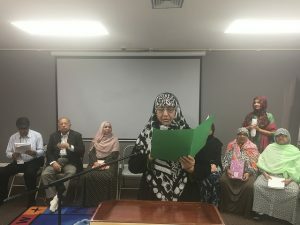 Abdul’s daughter felt her mother, was being ignored and treatment options were left unexplained, perhaps because she was older immigrant woman of color who spoke hardly any English. The doctors and nurses would explain things to her when she accompanied her mother, Abdul’s daughter reported, however, when her mother went alone, they would be unresponsive and “not nice”. “That’s when we decided to start accompanying Salma to the hospital because, as with so many of our immigrant elders, she didn’t know what questions to ask her doctor, how to fill forms, or even where to go, or how to get to different specialists,” Panna said. In her experience with Care Management, Panna said, older adults need help with much more than just paperwork. Sometimes, she and her team are called upon to become interlocutors between cultures. For instance, when a doctor asks a Bangladeshi senior, how she feels emotionally or mentally she’ll invariably answer, “amar onek tension ,” or “I have a lot of tension in my mind.” In Bengali culture, the English word tension is often used as a catch all term for anxiety or depression or worry, and other distressing mental issues. Most American doctors don’t understand this culturally specific term, unless someone with cultural competence (like an accompanying case worker) can explain what the elder means. 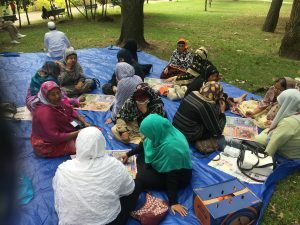 Salma Abdul’s case highlights an important point that often gets lost in the scramble to deliver aging services: with the numbers of immigrant elderly surging in cities like NYC, cultural competency on the part of service providers becomes ever more important. 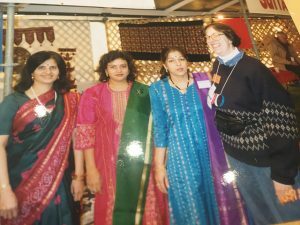 The fact that her team speaks Bengali and understands South Asian ways has made a huge difference in her clients lives, says Afroditi Panna, the Case Manager at India Home. Maintaining the tradition of respecting elders: A focus on engaging clients in a manner that is consistent with their cultural values and adapting communication to be consistent with the client’s traditions. For example, in Asian and South Asian culture this would entail addressing our elders with a honorific and never by their name. It would also mean case workers listen respectfully (and patiently) so that the elder feels understood and establishes rapport before rushing into the business at hand. It would mean being respectful of cultural norms around touch, personal space and so on. Involving the Family: Most of our immigrant elders live with their families and are dependent on them. Individualistic Western methods where the patient is solely responsible for their own welfare may need to be modified for aging South Asian elders. Other family members may have to be made familiar with the treatment process and involved actively in their care. To take Abdul’s case as representative: our case workers engaged with her family members and took the time to talk to them and explain her treatment. Framing issues in culturally relevant ways: For example, music and art therapy is used in Western practice to reduce tension and stress, but some South Asians older adults may have restrictions based on their religious beliefs on the kind of music or they are allowed to listen to or the art they may practice. A culturally competent case worker may have to advise the Western doctor to come up with alternate methods to help her client to cope. 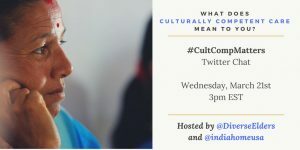 Join India Home and the Diverse Elders Coalition for a Twitter chat about cultural competence in aging services on Wednesday, March 21st at 3pm EST. Follow the hashtag #CultCompMatters to join in. 1 Names have been changed to protect privacy of the client. At the exhibition, we created a gallery of their art, and celebrated their achievements with certificates, chai and pakoras! It was wonderful to have so many of their family and friends join the celebration and stroll along enjoying the art on the walls. Some of the elders spoke about their experiences: “We looked forward to the class every week,” Prabha Basin, one of the participants said. “I had to wait 68 years to discover I could draw. Now I want to keep doing it.” Bharat Shah said. His wife, Usha Shah, marveled at how she went from being ” zero in drawing,” to creating the beautiful work on the walls. These words from our elders were exactly what we hoped to hear when we started this experiment in creative aging! Ms. Afreen Alam is a community leader who has been at the forefront of housing counseling and community development both on the ground and on the intermediary level. Most recently she was the Executive Director at Chhaya Community Development Corporation (Chhaya CDC), a HUD approved counseling agency since 2007. Previously she served as the Deputy Director at Chhaya, playing a pivotal role in its regeneration and working tirelessly to build a strong foundation on which the organization is currently thriving. 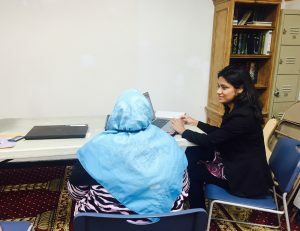 Ms. Alam, a former NeighborWorks America certified Housing Counselor, helped the organization respond to the foreclosure crisis that impacted Queens homeowners more than any other borough of New York City. Ms. Alam also served as the Director of Housing & Community Development at the Nation Urban League, one of nation’s oldest civil rights organizations, where she was responsible for overseeing housing and economic development programs at 40 local affiliates; and provided leadership on national housing policy advocacy. She also worked at UNAIDS and Harvard University advancing human rights and international community development. A daughter of Bangladeshi immigrants, Ms. Alam has been deeply committed to grassroots organizing in NYC’s immigrant communities. 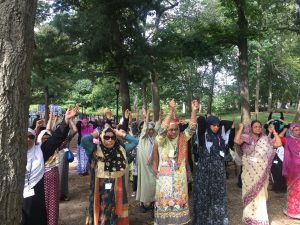 She has been involved with Worker’s Awaaz, South Asians Against Police Brutality & Racism, Turning Point for Women and Families, Shetu (formerly the Youth Congress of Bangladeshi Americans-YCBA) and Muslim Reform Movement, to name a few. She received her Master’s degree in Economic and Political Development from Columbia University. Ms. Alam is passionate about travel, respectful parenting (RIE), elder care/care giving, and all things COOP. The reason I joined is rooted in my fond memories of my grandmothers. I enjoy the company of the elders, their easy affection and love and am invariably moved by their life experiences. As my own mother is aging and closing in on retirement herself, the issues that India Home addresses hit home. 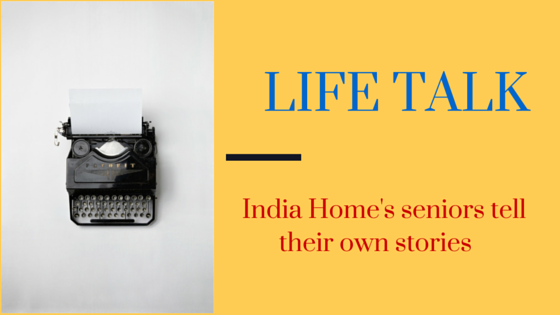 With India Home, I aspire to create a life that I would like to have when I am a senior. Anjali is a financial services professional with nearly two decades of experience spanning most aspects of regulatory capital and liquidity risk management. She is an Indian born American with a soft spot in her heart for the young and the old. Anjali holds an MBA from Columbia University and spends her spare time with her husband and their two young daughters. I have witnessed the reluctance of seniors to partake in non-culturally familiar activities and understand the unfortunate health consequences of social isolation. 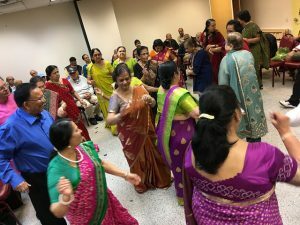 The aging Asian population is an underserved community and India Home has done so much for it while also welcoming non-Asians to its events and activities. 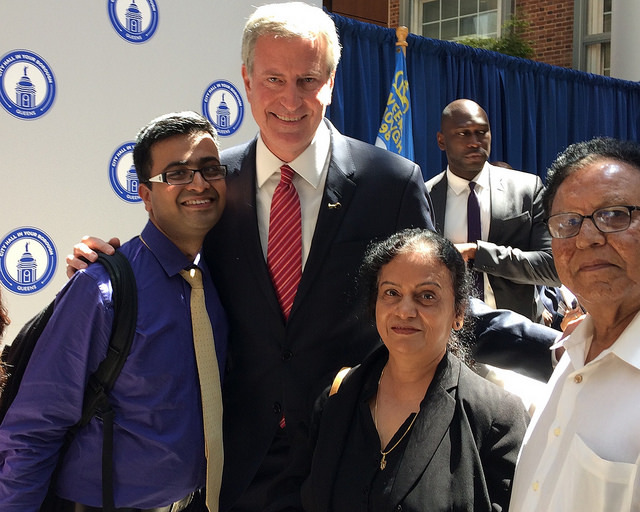 I am honored to join forces with India Home and be part of the solution to improve the lives of Asian seniors. The Captain Tilly Park in Jamaica, is named after Captain George H. Tilly who was a local son of a prominent Jamaica family who was killed while fighting in the American war in the Philippines in 1899. The park is a local destination for Jamaica residents to relax and enjoy public space and greenery in their neighborhood. Situated on nine acres, the park is in the heart of Jamaica and a peaceful getaway from the hustle and bustle of the city. 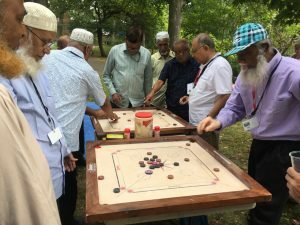 On September 21, 2017, as part of our effort to help with the health, fitness, and mental wellbeing of the seniors of our Desi Senior Center, we took them out for a change of environment and had them try some new activities they hadn’t done before. The seniors really enjoyed the scenery that the Captain Tilly Park had to offer such as the ducks and Canadian geese swimming about. They also enjoyed the picnic we had brought. They did their exercises outside and enjoyed the fresh air. One highlight of the day was when they played games like carrom board and ludu. Carrom is a “strike and pocket” table game similar to billiards. Instead of using cue sticks and billiard balls, carrom is played by using different sized and colored pieces called carrom men. Some of the seniors were very passionate about winning the carrom board games. Prizes were given out to the winners of the games. After they ate their picnic, they sang Bengali folk songs, solo and in chorus with others. Everyone was very supportive of each other regardless of their singing abilities. In the end of the picnic, all the seniors thanked the director of our Desi Senior Center Dilafroz Nargis Ahmed for making this wonderful picnic a possibility. By all accounts, Bharti Parikh, 66, has led an exciting life. 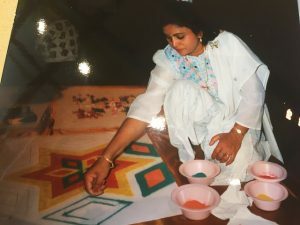 Her life has been an adventure that took her from a childhood in the tiny village of Patton in Gujarat, India, to a law degree, and fulfilling years in America that included working for the City of New York, being invited to be an artist at President Clinton’s inauguration, and being a singing star on TV. However, there’s also another sadder, more stressful side to her story, one that is unfortunately shared by so many older adults in America. Bharti Parikh is a caregiver, and has had to be one for years. A senior herself, she continues to care for her husband who has Parkinson’s Disease, and her 88 year old mother. Until May 2017, she was also caring for her aged father who suffered various illnesses that kept him going in and out of hospital. Her husband cannot use Medicaid, which pays for two-thirds of longterm care in the US, because it requires clients to be impoverished to qualify for benefits. 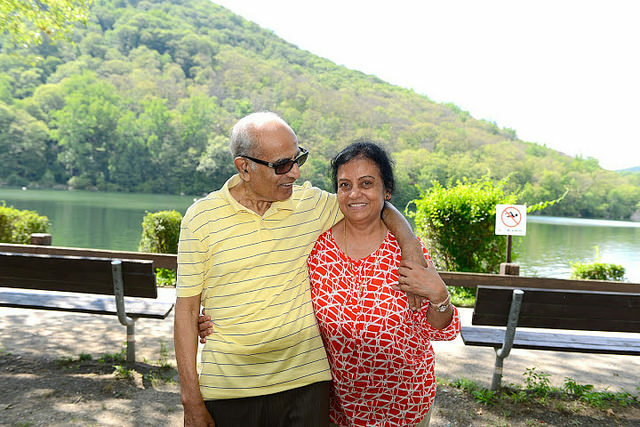 Because of their income and their savings, the couple do not qualify and has “no choice.” Bharti is one of those millions in America who are trying to pay for long term care through savings, private insurance and family resources. We highlight Bharti’s story as an example of seniors, who, even as they age and grow more frail, are also caring for loved ones who are older and sicker than themselves. Apart from the financial toll, caregiving can be physically and emotionally brutal on the caregiver. Caregivers like Bharti who are singlehandedly managing to take care of loved ones often find themselves alone and isolated. However, with America’s population aging rapidly, the nation’s 2.2 million home care workers (also known as personal aides or home health aides) can barely meet the demand for their services. Not only is it hard to find care, it’s even harder to find a way to pay for care for more than a few hours a day, she says. A slight, pretty woman with dark hair and clear skin who looks younger than her years, Bharti is an active member of India Home, always eager to dance the garba or sing traditional songs in her beautiful voice. She spoke to Meera Venugopal at her home in Woodside, Queens, while an aide took her husband for a walk. My husband was fine until 2009. Then he got Parkinsons Disease. Now the disease is at its worst, and he needs someone to take care of him all the time. We can get help with Medicare but only a few hours a day, for three to four days a week. Then after 2-3 weeks, the payments stop. Now I have hired someone to take care of my husband for a few hours a day. That’s a private hire; I pay the aide from my pocket. The person I hired does everything from brushing my husband’s teeth to giving him a shower. He massages him, feeds him, takes him on a walk. Before I was doing everything for him, and I had no help at all. But the aide I have now for my husband is old too, and he’s not going to be around forever. If I can get someone younger that would be great. I talked to an agency and a social workers came and said “I’m going to help you. Your case is tragic, so I’m going to do this fast.” Once he went back, I never heard from him again. I’d call him and he refused to come to the phone and talk to me. Someone else called and said, “There are too many people on the waitlist. You won’t get an aide. You should apply for Medicaid.” I can’t apply for Medicaid—I have an income, and my husband had an income, I had a job, plus we have savings. So here we are. My sons are in Ohio, so my daughter, Shephali and son-in-law are living with me. They help me take care of my husband and my late father and my mother. You know what’s tragic? I used to be a supervisor for New York City in the Human Resources Administration. I know all the rules and regulations on Medicare. I met Mayor Bill de Blasio at a fair in Queens, and he said he would get me a home health aide for my husband and I still didn’t get one. I’m going to go to the Mayor of New York City again and I’ll ask him: What happened to your promise? I was born in a very small village called Patton, in Gujarat, India. I was the only daughter and my father loved me very much. He let me do anything I wanted. In my town they didn’t allow girls to go to school, even my uncle didn’t want me to study, but my father sent me to college. He didn’t want me walking to college, so I would bike. College was so much fun. I had so many friends. I would dance, take part in singing competitions, go on picnics. I started taking singing lessons, my father encouraged me to do that too. I got married when I was in my second year of college. My mother-in-law too, let me study, and work. My son was born when I was in my 4th year. I started law school when I my son was five years old. I was going to start working as an advocate when my husband decided to come to the US. My second son was born with a very small hole in his heart. The doctors said it may eventually close, but my husband said “I want to go to America because they have advanced treatment there. So we applied and got here.” He’d applied for a visa in 1968, but couldn’t come because he didn’t want to leave his mother alone. He would renew his application every year, and finally he got accepted in 1980. Until then, he was working as a chemical engineer. He was a Gold Medalist in Chemistry and he got the visa in two months! I came in 1981 with the kids and joined him in New York. I started working at the Paul Stewart clothing company in New York almost as soon as I got here. That was my first job in America. Then after a year and half, my husband bought stores, first in the Bronx and then in Yonkers. Both stores had candy, magazines, lotto. I would also work in the Yonkers store. We worked hard, day and night. Even my kids helped out in the store. We did very well. Then I had my daughter and I quit working in the store. But after 5 months or so of sitting at home, I was bored and applied for a job with the city. They finally called me on a Friday and said I had to come for an interview on Monday. The application was 25-30 pages long and they wanted to know my entire life – my education right from school in India. In 1989 I started working for the city, for the Human Resources Administration (HRA), and I worked until 2012. I started as a case worker, and then I took the exam and I became a supervisor. We bought our house in 1994 in Woodside, Queens and we’ve been here ever since. My father also lived with us until May this year. His aide would go home at 4:00 p.m. He was sick all the time. There were a lot of emergencies. I would have to run to the hospital and stay with him all day and all night. He couldn’t be alone because he doesn’t speak English. My niece lived near the hospital and in the morning I would go to her place and I would take a shower and go back to the hospital. For years, I did all this. I had to look after all three. I had no choice. Sometimes my mother was sick, then my husband was sick. It could get very hectic. But in every Emergency, I felt God helped me. Someone somehow came along and helped us. Through all this I continued singing. 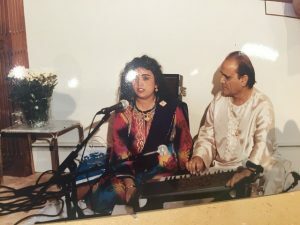 I learned singing in the US with a Pakistani teacher. I even made a cassette tape of songs with him in India, and in the US we would do a lot of programs for Indian TV. Even now, they’ll sometimes play those all programs. 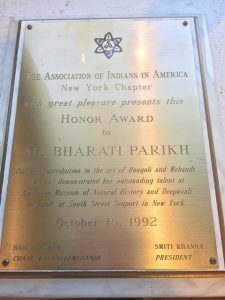 Bharti’s talents as a henna artist got her invited to participate in President Clinton’s Inauguration in Washington D.C.
For ten years I did henna designs every year for the South Sea Port Diwali Mela (Fair) for the Association of Indians in America – New York Chapter. I was self taught. I would get invited to weddings in Manhattan to do henna. Then the Association sent me to Washington D.C. during President Clinton’s inauguration. Artists were invited from all over the USA. We stayed for four days in the Marriott, and I was set up in a big tent on the National Mall. Hundreds of people came to get henna designs from me. I like that we get to do art at india home. I signed up for the drawing class. I want to learn new things. I like coming there, I like doing the exercises. My husband likes it too, all the different activities and meeting people. My husband is getting worse. My mother is getting deaf, and she needs a full time aide. But it’s okay. We are not going to take the money with us—whatever we have we will leave it here, so why not use it? It’s not about the money, it’s about getting help. If I can even get a little bit of trained help that would be nice. But I will spend whatever money I have to take care of him. Bharti Parikh often brings her husband with her on her visits to India Home. Her children, she wanted us to say, have all done well. Her daughter works in the financial sector. The baby with the hole in his heart, Ripal, who was the reason the couple moved to America, is now a well known pain management specialist. Her eldest son, Nehal, is a neonatologist at Cincinnati Children’s Hospital and researches prevention of neurodevelopmental disabilities in high-risk newborns. Outside the Sikh Gurudwara in Richmond Hill, Queens, I approached an older Sikh man with a turban and a long, flowing beard. “Hello, Uncle!” I said in Punjabi, my mother tongue. “Do you have a couple of spare minutes to fill out a survey on our research for the needs of the South Asian seniors?” “Sure, beta,” he said. He was very pleased to help me out and patiently answered my questions. It was very hot day, and after a while, he invited to his home which was two blocks down from where we were for a cold drink. He sent me on my way with best wishes for my future. 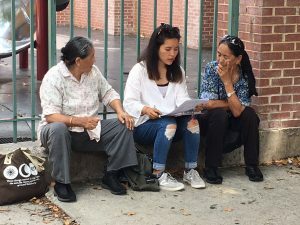 This experience was just one of many similar encounters I and my fellow interns had this summer as we helped gather data for the first ever needs assessment of South Asian seniors in New York City. 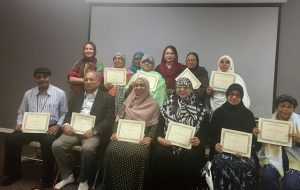 We were working with India Home, the only professionally staffed nonprofit in the North East that serves South Asian elders, to gather information on a wide range of issues that confront immigrant South Asian seniors. India Home’s interns fanned out across Queens to interview South Asian elders for a new Needs Assessment Survey this summer. Tenzin is talking to two seniors. My fellow hardworking interns, Tenzin, Zarifa, Daiyan, Sanjana, Amna and I helped India Home to survey the needs of South Asian seniors in areas of New York City that have high populations of South Asian immigrants like Queens, Brooklyn, and the Bronx. Our goal was to understand the requirements of these seniors and make them feel comfortable enough to answer our questions. We surveyed senior citizens who have immigrated from India, Bangladesh, Pakistan, Nepal, Guyana, Sri Lanka, Afghanistan, and other South Asian countries. We visited temples, mosques, gurudwaras, churches, senior centers, and spent time in parks and streets in order to gather legitimate data for the needs assessment research. South Asian immigrant seniors are part of a demographic that is often overlooked by social service agencies, community providers, and public policy initiatives. They face issues of social isolation, limited English proficiency, poverty, health difficulties, transportation deficits, and more. 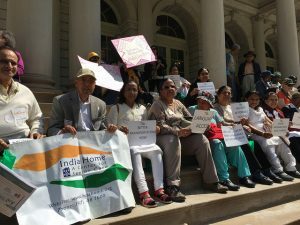 Even though they are among the fastest growing groups of the older adult population of New York city, South Asian seniors are consistently underserved by government agencies. India Home aims to gather objectively verifiable data to make a strong case for increased focus on South Asian seniors. 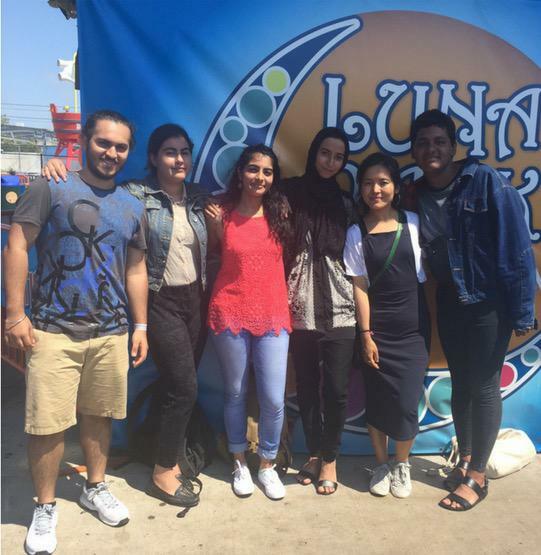 India Home’s gathered an intern team that was very diverse and multilingual. Between all of us, we spoke close to 12 South Asian languages. Zarifa Ahmadi (Queensboro Community College), originally from Pakistan, speaks Urdu, Hindi, Dari, Farsi and Pashto. Tenzin Lama (Baruch College), who is from Nepal, is fluent in Tibetan, Nepali and Hindi. Amna Aslam (Vassar College), originally from Pakistan, is fluent in Urdu, Hindi and Punjabi. Daiyan Hossain (Hamilton College), originally from Bangladesh, can speak Bengali fluently. Sanjana Inala (The College of New Jersey), who is from India, speaks Telugu. Many older adults from South Asia have little or no English proficiency which makes it difficult for them to communicate in this country. That is why our abilities in multiple languages paid off when we encountered elders who were not proficient in English. My team and I did not face any problems in talking to elders and translating the surveys to them. Even those seniors who could speak some English were happy to have us approach them in their native tongue. “Quite a few seniors have adjusted themselves to the city’s lifestyle but still miss the friendliness and warm community relationships in their native lands. Most of them get very excited when we approach the seniors with their mother tongue and are pleased to help us by participating in the survey,” said Tenzin Lama. Even though we came from different backgrounds and cultures, we enjoyed each other’s company, whether we were working or taking a day off to enjoy the summer in NYC. What is the survey about? “What is the survey about” was the very first question the elders invariably asked us. We would tell them that the survey asked detailed questions related to the lifestyle of South Asian seniors, like marital status, age, year of immigration, a reason of immigration, income, housing status, health related questions, social security income and much more. “The surveys are anonymous and records no personal information of the respondents,” we would reassure them. We made sure our elder participants in the Needs Assessment Survey were comfortable. Daiyan is interviewing a senior. One of the biggest challenge we faced was convincing the seniors we met that taking the survey would not harm them in any way. Despite repeated assurances that their responses were anonymous, many elder respondents were scared. Some were undocumented or had a distrust of government. The lack of literacy among immigrant seniors was also reason why it was hard for our interns to persuade elders to take the survey. However, we were trained to combat this distrust and fear. For instance, our team was trained to greet elders appropriately and with respect according to the cultural norms of their respective cultures. Thus we would fold our hands in a namaste while approaching Indian elders or say tashi delek to greet Tibetan elders. I like to think that our cultural competence helped to put the elders at ease. “Sometimes elders need that support from someone to move on from a tragedy or depression if they have any. Sometimes they want to share some tragic experience,” Sanjana said. The other thing we did well was listen – sometimes to much more than just answers to our questions. “Most of the senior citizens we surveyed were very friendly and warm. I think they tend to feel lonely when their families aren’t home which makes the seniors more than happy to communicate and share their experiences with someone” said Sanjana. Funding for the needs assessment was generously provided by New York Community Trust and SAALT We Build Community. Are South Asians more at risk for heart disease? Yes, and now there’s a new bill in Congress to address that! Last year, Narendra Butala, a long time member of India Home, was facing a health crisis. He had been feeling breathless for a while. His blood pressure would drop suddenly and he would sweat profusely. Mr. Butala, who emigrated from India 20 years ago, lives an active lifestyle, and is a life-long vegetarian who doesn’t smoke. At first glance, he would not appear to be a typical candidate for heart disease. However, there is one indicator that increases his risk exponentially – his South Asian descent. Several recent studies have found that all over the world, individuals of South Asian descent account for 60 percent of heart disease patients. A study conducted by the University of California San Francisco found that in the United States, South Asians have the highest death rate from heart disease compared to other ethnic groups. Other research published in the Annals of Internal Medicine, discovered an even more troubling trend. Among people of normal BMI (Body Mass Index), South Asians were twice as likely as whites to have risk factors for heart disease. BMI, a height-to-weight ratio, is used to determine whether someone is overweight or obese. Body Mass Index and weight are often the first numbers doctors consider. Many doctors may not screen for heart disease and Type 2 diabetes if they are within normal range, but what the study indicated was that when it came to South Asians, even patients of normal weight were showing risk factors for heart disease. Fortunately, someone in the federal government has been paying attention to these concerning numbers. 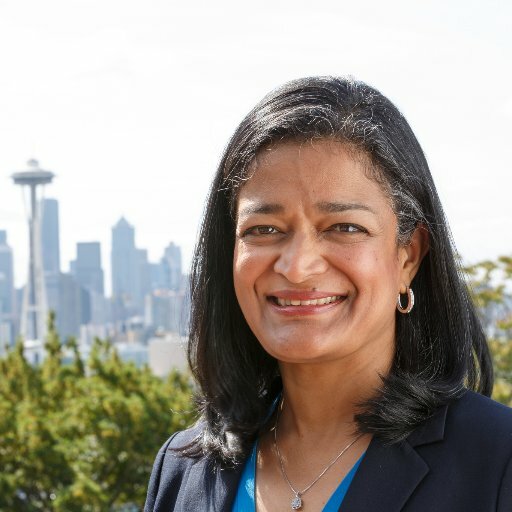 Representative Pramila Jayapal (D-Washington) introduced in the House in late July a bill aimed at the issue of high levels of heart disease in the South Asian American community. Called the “South Asian Heart Health Awareness and Research Act,” the bill garnered bipartisan support and was co-sponsored by 18 other members of Congress, including Rep. Joe Wilson (R-South Carolina). Rep. Pramila Jayapal (D-Washington) sponsored the “South Asian Heart Health Awareness and Research Act,” in the House of Representatives. India Home, which runs the largest South Asian senior center in the North-East, has made its own modest contribution to improve heart health among the older South Asian adults it serves. Regular yoga, meditation and Ayurveda is taught at its centers along with holistic and healthful ways to exercise and maintain their physical and mental wellness. 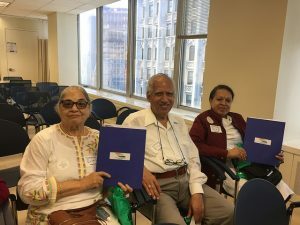 Moreover, in partnership with NYU Langone’s Center for the Study of Asian American Health (CSAAH), India Home has introduced its members to a number of educational projects like Keep On Track / REACH FAR. 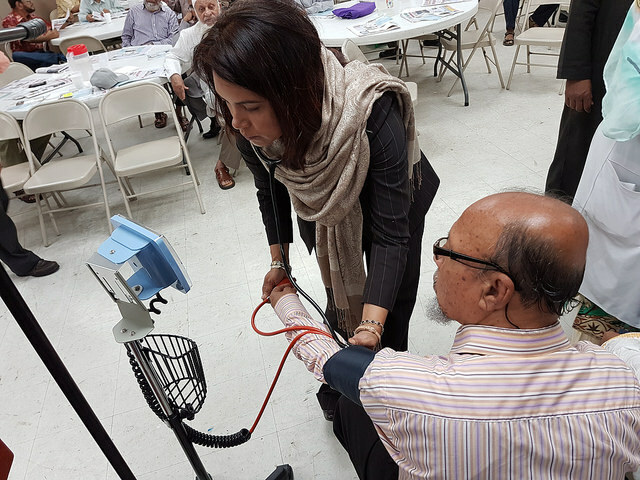 Eighty seniors from India Home took part in Reach Far, a project in collaboration with NYU Langone, which taught community volunteers to monitor blood pressure for better heart health. This project trained 26 volunteers at India Home to monitor blood pressure as part of a Community Health Assessment. Over 80 Bengali seniors from India Home’s Desi Senior Center participated in the project. 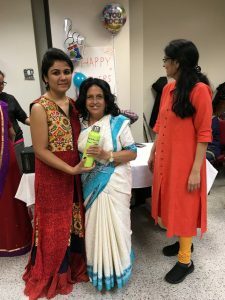 Another project helped to disseminate nutrition information with culturally and linguistically adapted brochures in Bengali and Hindi and taught seniors how to measure their food portions and try new nutrition strategies. On 18th July, Mayor Bill de Blasio hosted a City Resource Fair at the Queens Borough Hall in order to help residents understand the various services available to them, and untangle problems incurred by the people of the city. The event was very well organized and different departments like NYC Department of Health, Department of Aging, New York Police Department, Fire Department of the City of New York, MTA’s Access a Ride as well as Reduced Fare services, NYC Rent Freeze Programs were represented at the venue. Most of the people who were waiting to meet the Mayor had come in search of a solution to specific issues like health care, transportation, housing and so on. Several seniors from India Home attended the Resource Fair. Our seniors were very excited as well as honored to be able to meet the Mayor of New York City. The long lines did not deter our seniors, instead, the waiting allowed our elders more time to come up with other concerns they wished to share with the Mayor. 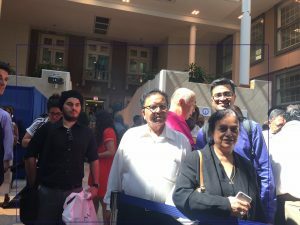 “Since the Mayor has made so much of effort to organize this type of an event for all of us, in turn, we can definitely spare a few minutes standing in the line to meet him,” said Mr. Butala. In the end, the hassle of waiting in line paid-off as the seniors finally got to meet the Mayor and expressed their problems. Mayor de Blasio immediately helped the seniors find solutions. “He was very friendly and patient in listening to all my problems and further asked Donna Corrado, Commissioner of Department for Aging who in turn helped me with information on care resources for my husband,” said Bharti Parikh. As for Mr. Butala, he brought an important issue to the Mayor’s notice: “I notified the Mayor about the increasing number of accidents near my neighborhood and how badly someone needs to take action for it,” he said. By Rohandeep Arora, Intern (Pace University).